Cloud Hosting can have many advantages over shared hosting, and physical hosting infrastructures. 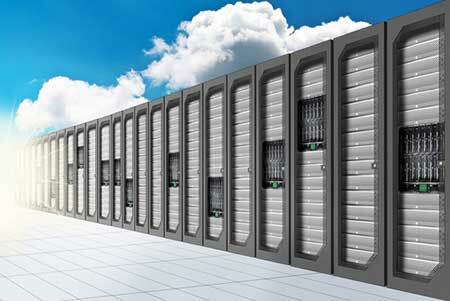 ‘What is Cloud Hosting?’ and ‘why Cloud Hosting?’ are two questions closely intertwined. With Cloud Hosting, handling security, load balancing and server resources virtually, you are no longer restricted to the limits of one physical piece of hardware. You have access to a whole farm of computers and your load can be distributed between them. In a physical environment e.g. a website is limited to the resource constraints that is housed within the physical unit/server (RAM, processing power, bandwidth etc.). The concept of a Cloud infrastructure no longer has this limitation – you can purchase as much computing power as you need from a virtually inexhaustible resource. The nature of the infrastructure means that scaling up and down is seamless and thus spikes in traffic aren’t problematic. Cloud architectures have the ability to provide small and medium enterprises the stability and resilience of a hosting architecture that a few years ago only huge corporate organisations could obtain through huge IT expenditure. Cloud hosting can be part of a private cloud or a public cloud. This makes it an ideal platform for corporate hosting, not just a web server. Please contact us if you would like more information.